One of the most popular home garden varieties of the past 100 years. Early, high-yielding, this favorite produces uniform, bright red globes with crisp, tender, juicy and mild white flesh. Radish, Early Scarlet Globe is rated 4.8 out of 5 by 5. 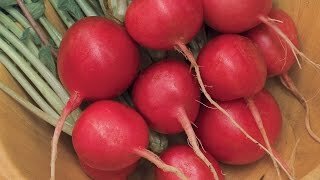 Rated 5 out of 5 by Amberleeho from Quick growing vegetables These radishes are the easiest thing you can grow. Ready to pick in about a month. Pick early for extra spicy radishes, pick later for more mild flavor. I've grown these in flower boxes and in my raised beds. They don't take much space. Grow 16 per square foot. Really good taste. Way better than the grocery store. 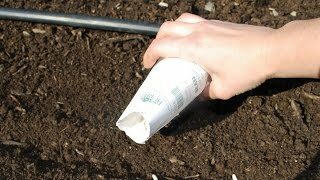 Rated 5 out of 5 by TravelingAnn from Fast and tasty First time planting radishes. I'm planting them in batches of 9. They are growing quickly, which is fun as I wait for other veggies to produce. Some of them have had a spicy, peppery flavor, which was unexpected. Maybe I harvested them too soon? Rated 4 out of 5 by Wryter from Productive and fast in the desert I don't even much care for radishes and I like these. They are mild, very productive, quick to germinate and quick to harvest. I'm in Zone 8 and the only months i can't grow these outside are July and August because those months are too hot here in Kingman, AZ. Rated 5 out of 5 by mjragusa from great! great sprout time, steadily growing quickly. Should be ready for harvest at the end of this month. We'll see how it handles my zone 9 conditions!